Worlds Collide: Esmi’s a world traveller who met Lionel not in his native Argentina but while viewing a professional soccer match in Los Angeles. Great idea! Lionel’s daughter added beading to her dress to match the belt detail of Esmi’s dress. 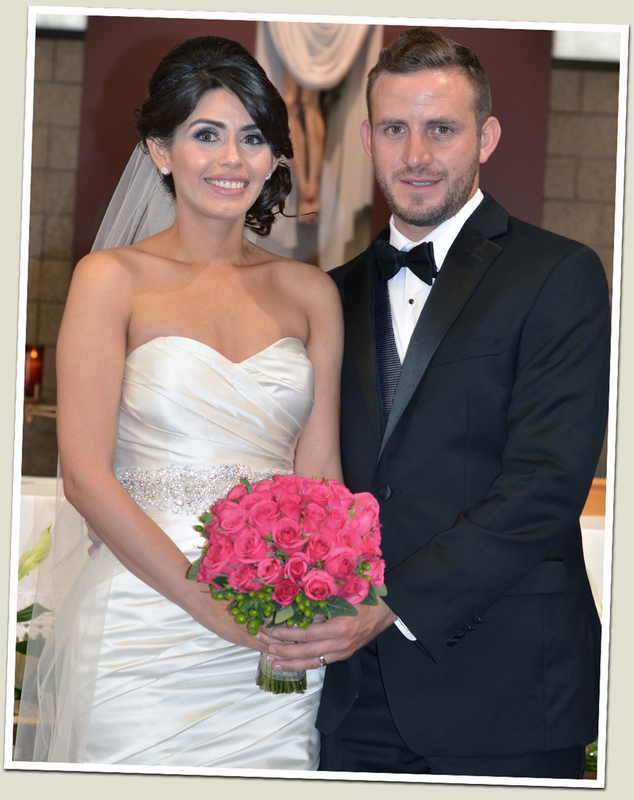 Third time’s the charm: This is the third wedding we have shot for Esmi’s family. We started with her brother’s wedding in 2007 followed by her sister’s wedding last summer. By now we feel like we’re a member of the family too since we ran into so many people who we recognized! New Venue: We finally got a chance to shoot at The Falls and we were really impressed. They’ve really put a lot of thought into the layout of the building and have included so many features that clients usually have to arrange for themselves — like uplighting and audio/visual items. The natural lighting in the ballroom was fantastic! Extended Preview: Since so many members of Lionel’s family weren’t able to attend the wedding, I added in a little bonus ceremony footage to what I normally include in the preview clip! Enjoy!